Again and again I walk into my local supermarket and straight to the meat and fish section to find something to make something worth writing about. This time I saw the guinea fowl thighs, I rarely see them as they mostly just stock full birds, so I snapped them up. 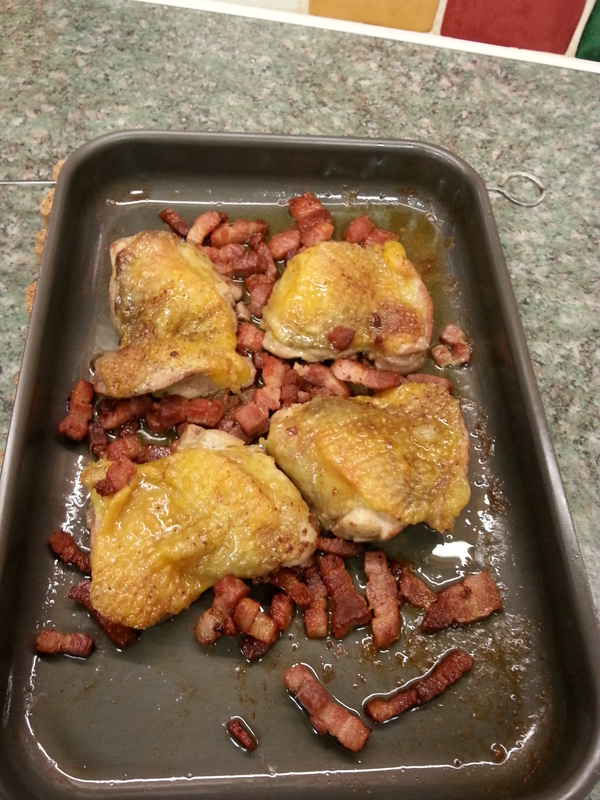 I rifled through the isles to find something to go with it, I picked some thick cut bacon lardons and an onion squash. Here was the resulting recipe! Place the squash on a tray and sprinkle with salt and pepper. place in the oven. 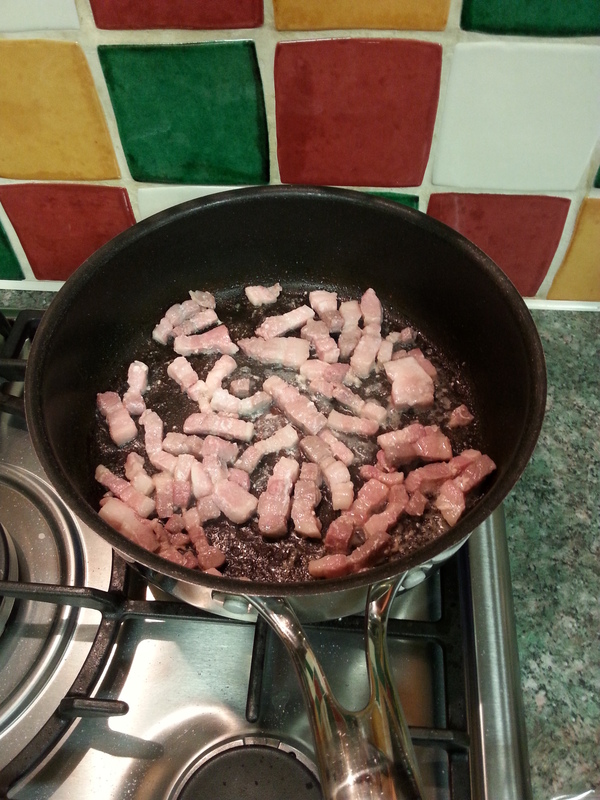 Add 1 tablespoons of rapeseed oil to a large non stick frying pan on a medium/high heat, followed by the bacon. Fry the bacon until it starts to brown, then add the wine. 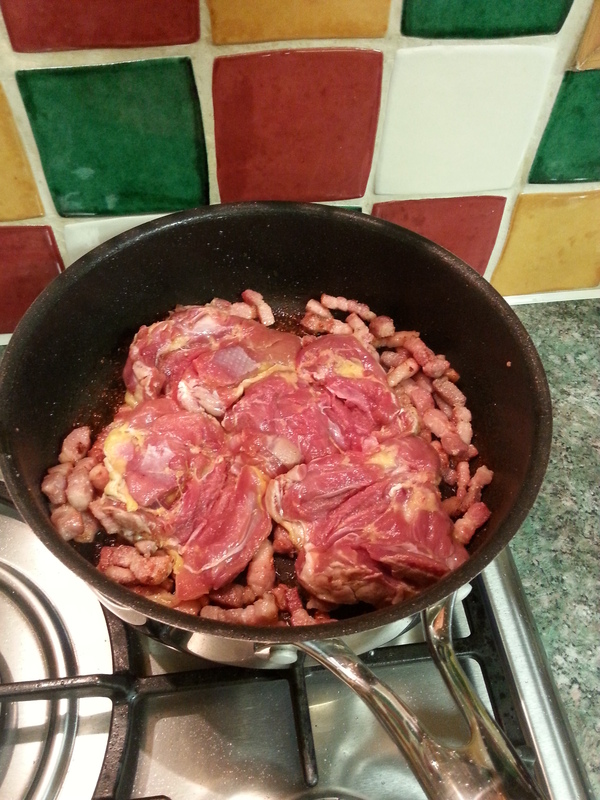 Stir the bacon and wine to lift the sediment from the bottom of the pan and simmer for 2 minutes. Add the guinea fowl, and fry gently on each side for a few minutes until browned. oven for around 20 minutes. After 20 minutes check the squash has softened in the middle. browned nicely around the edges and that the guinea foel thighs juices are running clear, then serve with your favourite green vegetables and enjoy. 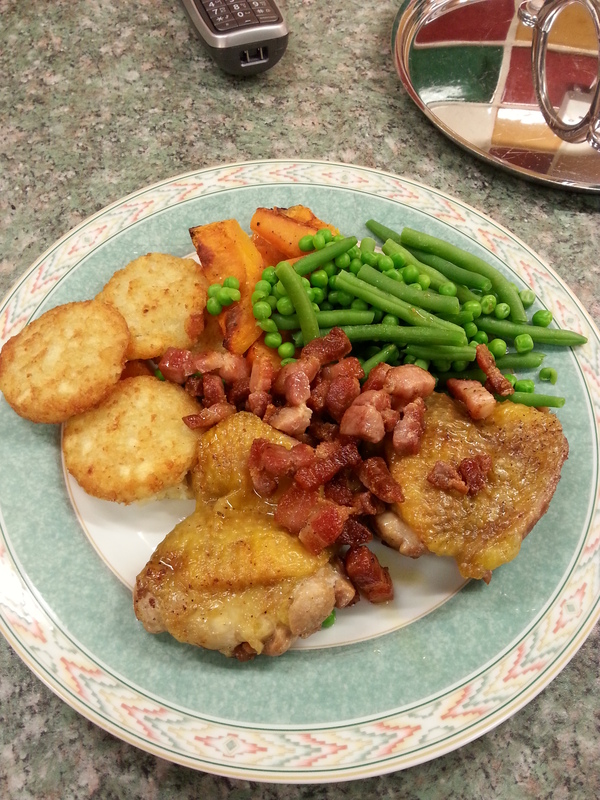 This entry was posted in Uncategorized and tagged Bacon, bake, Bird, cook, eat, Food, fry, game, green, guinea fowl, love, meal, meat, Onion, pepper, plate, roast, rosti, salt, squash, treat, vegetables, white, wine. Bookmark the permalink.